Italy is a charming and beautiful country. 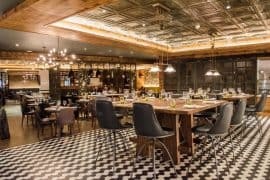 It has finesse and mouth-watering food and wine. I have been to a number of places so far like Rome, Milan, Trieste, Venice, Lake Como, Bergamo, Verona and I absolutely loved them. This summer I am getting married so we have decided to take our honeymoon there. So I asked my fellow travel bloggers around the world to write about their favorite place in Italy. If you are too planning a trip to Italy keep reading for some inspiration. There is a hidden gem in the region of Umbria that you may have never heard of. 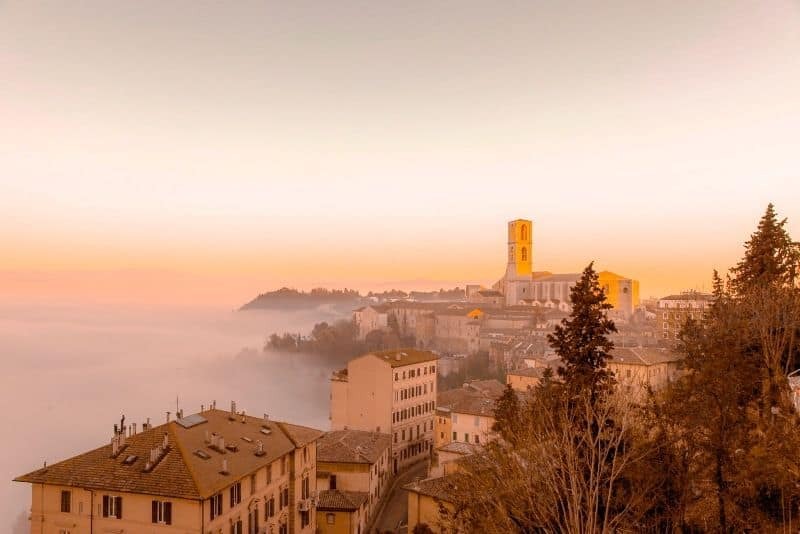 Perugia is the perfect town smack dab in the middle of Italy. The town sits high up in the clouds and is relatively unknown to most tourist. Instead of high prices and overcrowded sites, you will find a simple and quaint beautiful town, surrounded by Italian locals. The town is scattered with grand churches, numerous viewpoints, and great restaurants! There are also two universities located in Perugia in case you want to bar hop with the twenty-somethings. It makes for a perfect day trip into another Italian world. Natasha is one half of the website, The World Pursuit. She currently is gallivanting and eating her way around Morocco with her partner. You can find her on Instagram and Facebook. Cinque Terre is seriously the most beautiful place in the world and not just a must visit place in Italy, but just a must visit place! 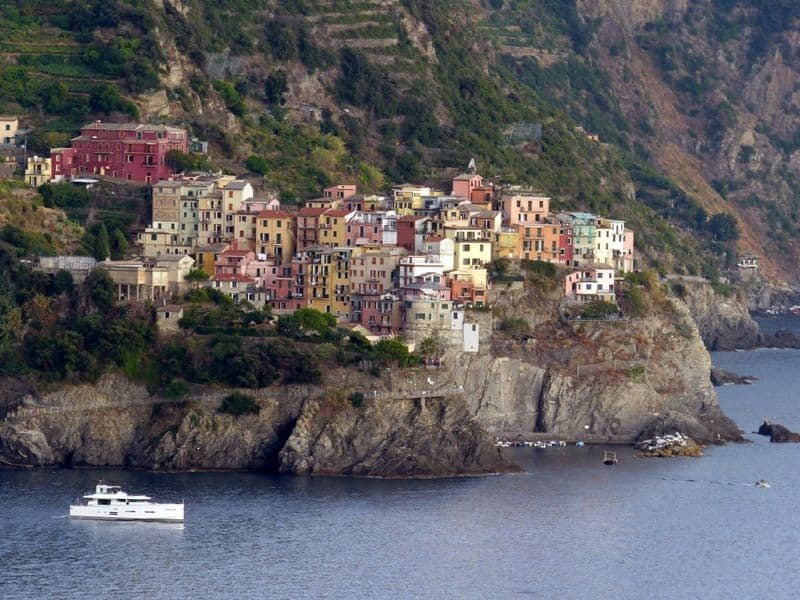 Cinque Terre is made up of 5 towns which line the coast and are built up steep hills. The scenery is just so spectacular that it honestly took my breath away when I saw it in real life, despite seeing many photos before my visit. Each town has its own flavour and elements that make it stunning. 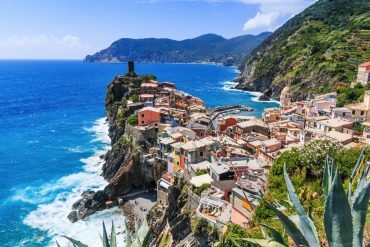 A trip to Cinque Terre is all about exploring each of the towns by hiking, taking the train and by boat. Being Italy, the towns are also full of beautiful food and wine. If staying in Cinque Terre isn’t “la dolce vita”, I don’t know what is! 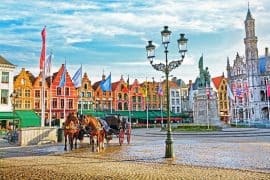 Sharon shares her experiences and tips on how to travel smarter, cheaper and better on her site, Where’s Sharon Family Travel Blog. You can find her on Facebook and Twitter. 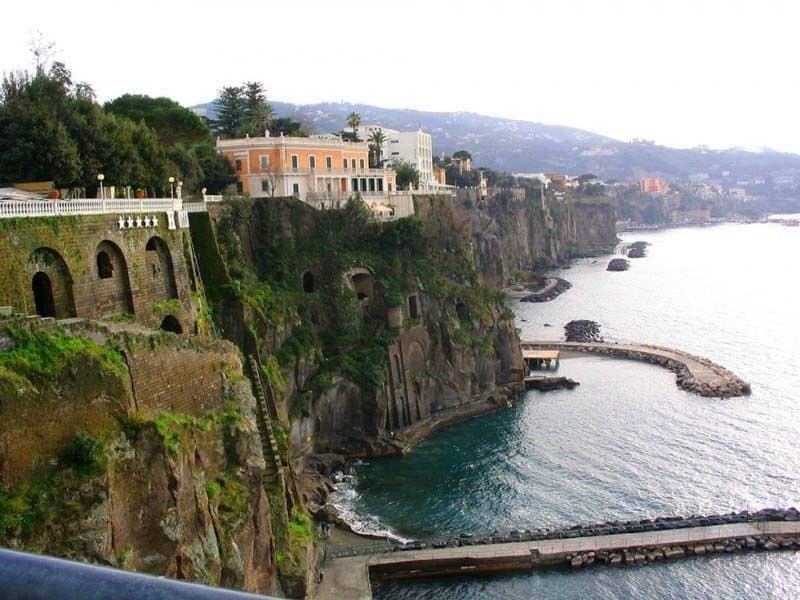 Sorrento, Italy derives its name from the Sirens, the mythical creatures who enchanted and seduced sailors with their beautiful voices but ultimately led them to their untimely deaths. 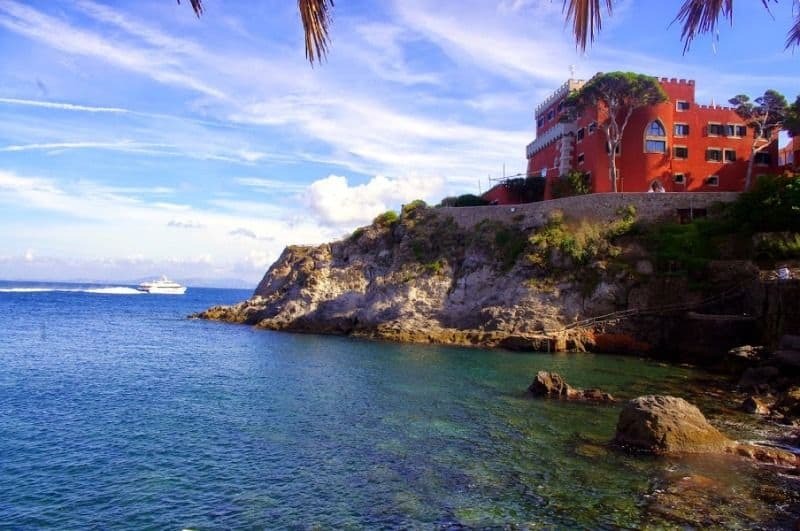 Don’t let this deter you, as this quintessentially stunning town situated on the Bay of Naples, with views of Mount Vesuvius, and the Isle of Capri will seduce you with its charm and definitely its food. Our main reason for going was to attend a very authentic cooking school. Before we got into the intensive classes, we explored Sorrento. Sorrento is famous for its lemons and limoncello, and whether you like it or not, the stall keepers will seduce you to try it in every form imaginable. The old section of Sorrento is full of narrow streets, alleyways and local fishermen singing about their catch of the day. It is fun to stop and have a coffee in Piazza Tasso, and to watch the life of this charming village pass you by. You can also walk down to the Marina Grande and watch the life on the water, but be prepared for a difficult climb back up. The cooking school was a hands-on way to learn how the people of Sorrento use their local products and how the old adage of fresh and local ring true. Sorrento seduced us for lots of reasons. Paula and Gordon of Contented Traveller love to cook when they travel. Catch up with them on Facebook and Pinterest. 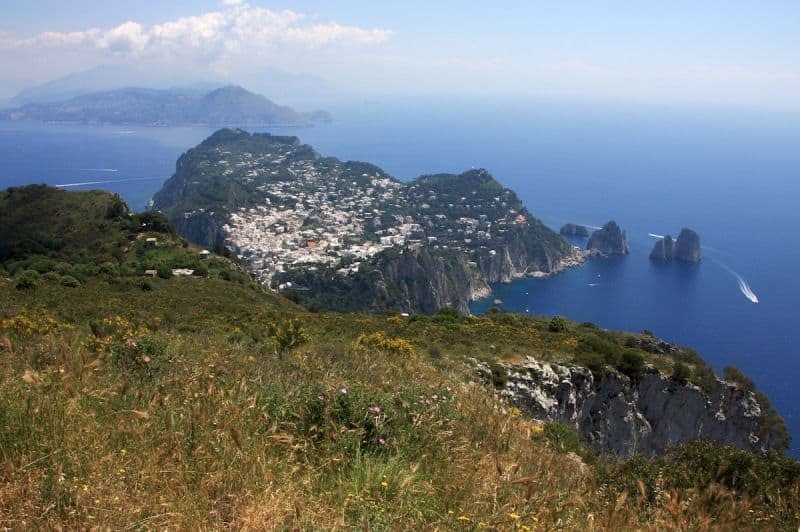 You might also be interested in: 11 Amalfi towns you must visit. When many travelers think of Italy and Tuscany they think of vineyards or olive groves. But there’s another Tuscany, one that many visitors overlook. In the rolling hills and shaded by cypress trees is arguably one of the most famous hot springs in the world. Saturnia is where hot springs bubbled up when the Roman god Saturn crashed a lightning bolt into the soil. The myth doesn’t match the geology, but that’s OK. When you soak in these magical waters, you’ll think you’ve been touched by the gods. We spent an afternoon soaking in the warm water, eating a picnic on the banks and staring in awe of its beauty. Lance and Laura Longwell are authors of Travel Addicts. They enjoy long road trips in unusual corners of the world, dipping into a hot springs, and drinking the local wine. You can find them on Facebook and Instagram. Venice is a popular city in North Italy, over 1500 years old, dating back to around 450 AD. It is also one of the most beautiful and romantic in Europe. We celebrated our 1st year anniversary there in February 2010. Venice is made up of over 118 islands over a marshy lagoon in the Adriatic Sea. It has 177 canals, hundreds of beautiful bridges and some of the narrowest streets in the world. Calletta, or Ramo Varisco street, is only 53 cm wide. The canals were the main routes of communication in Venice. That is why the main gates of the houses are always on a side of canals. 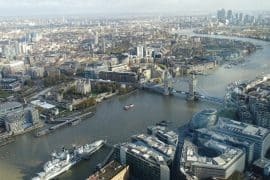 Hurry up and visit the city – it’s sinking at the rate of 1-2 millimeters a year! Stefan and Sebastien, are a gay couple and owners of travel blog, Nomadic Boys. You can find them on Facebook and Twitter. 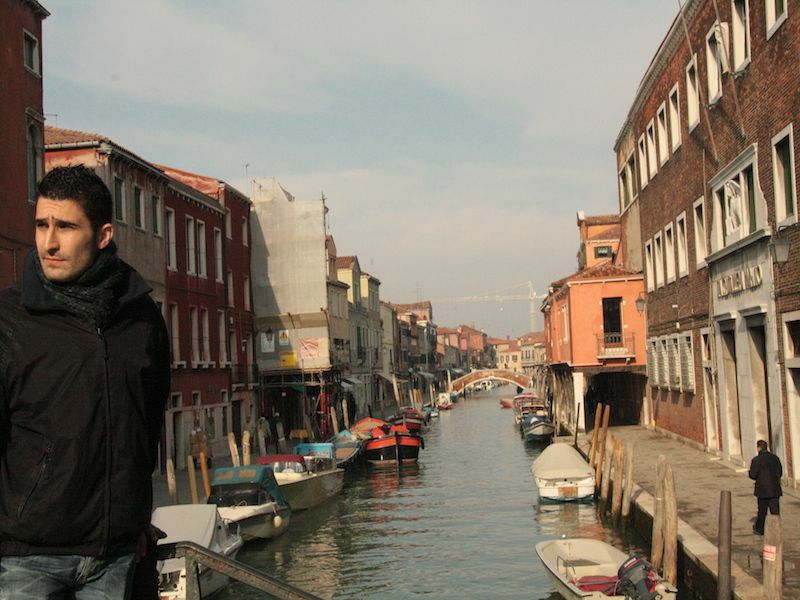 You might be interested in: 2 days in Venice. Rome , the Great Capital or simply “Caput mundi” , as the Romans called it. Its name comes from Romulus, the mythical founder and there isn’t any other Italian city richer in history and archaeology than her. 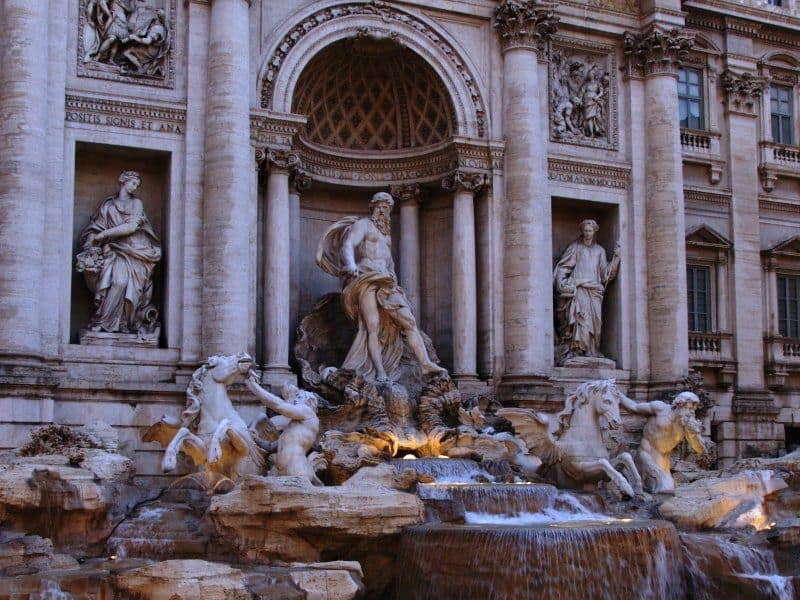 The Colosseum , the Trevi Fountain , the Roman Forum and the Arch of Trajan are just some of the wonders that you can visit in Rome. And at night the city becomes even more magical: the lights illuminate the monuments and there is nothing better than a walk along the river Tiber until one of the numerous traditional restaurants where to eat a plate of delicious pasta. Federica is from Italy and owner of travel blog travelliAMO. You can find her on Facebook and Instagram. 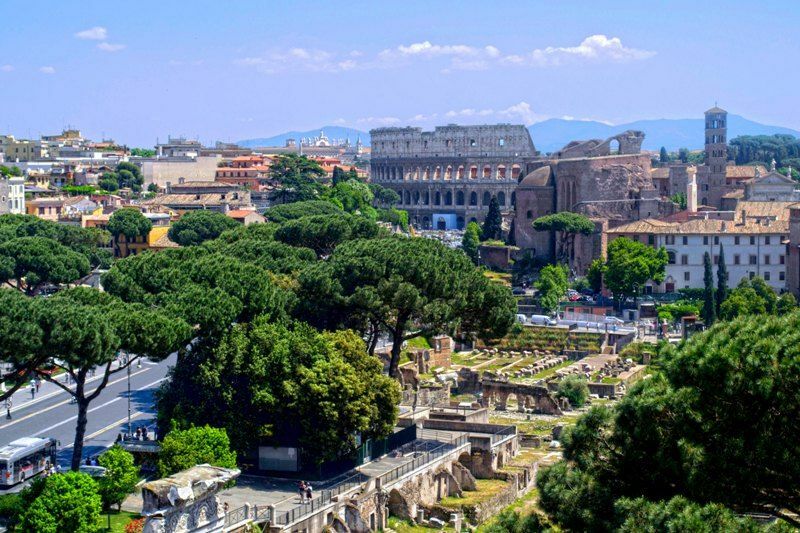 You might be interested in: 5 days in Rome and Where to stay in Rome. One of the absolute best places to visit in Italy would be the ruins of Pompeii and Herculaneum. Both sites offer a unique opportunity to step back in time and walk the very streets the Romans called home thousands of years earlier. To peer into the lives of people who lived way back in 79AD is a real privilege. These UNESCO world heritage sites also offer two differing experiences. Pompeii being the more famous site is much larger but also often crowded, being covered in a layer of ash rather than the mudslides of Herculaneum also resulted in different artefacts being preserved. In Pompeii you have the famous and chilling casts of the cowering locals, but over in Herculaneum much more detail has remained. From millennia’s old graffiti to tile work and tapestry an amazing amount of history has been preserved by the very volcano that destroyed it. 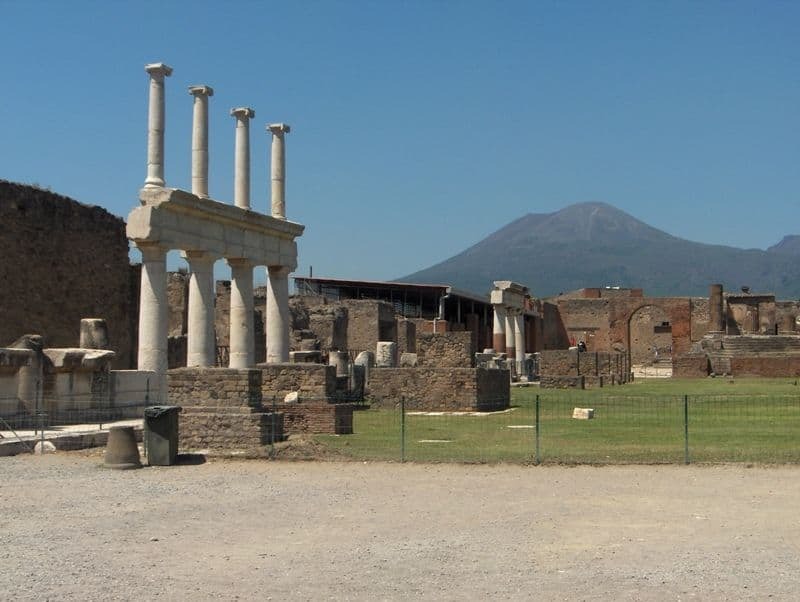 To explore Pompeii and Herculaneum in the shadow of Vesuvius should be on everyone’s Italian bucket list. Nic and Paul are the owners of travel blog The Roaming Renegades. You can find them on Facebook and Instagram. You might be interested in: 3 day Naples itinerary. 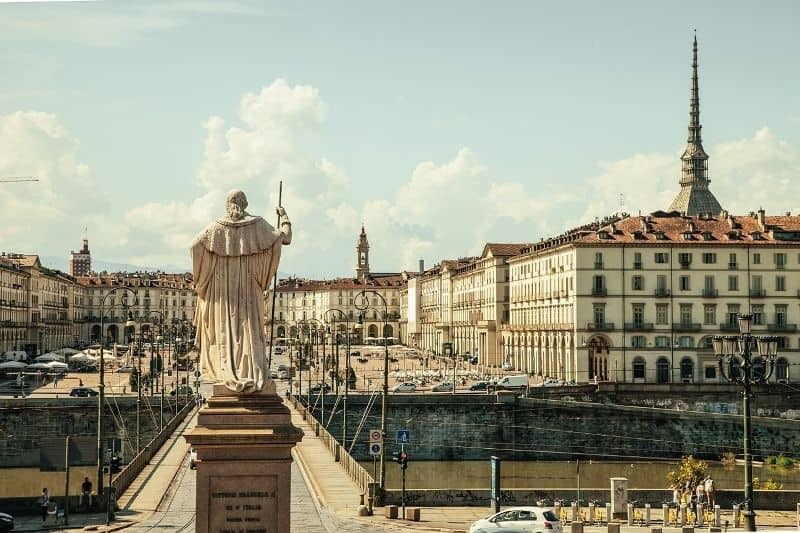 When visiting Italy, please don’t forget to plan a visit to Torino, the first capital city of Italy. When Italy was founded in 1860, the Savoia king resided in Torino and that’s why he set the first parliament here. Under the Alps, in Piemonte region (Piemonte literally means “at mountains’feet”), north-west of Italy you will find this very smart and natty city. One day could be too few to discover it, especially if you are interested in history. Here you find the second most important Egyptian museum in the world, several royal and nobles palace and the cathedral where the Holy Shroud is preserved. If you are interested in something more “modern”, instead, being Torino the FIAT city (FIAT is the main Italian car producer), you will surely enjoy MAUTO, the Automobile Museum, or the Cinema Museum, knowing that Italian cinema and public television were born here, hosted in the Mole Antonelliana, the symbol of Torino. 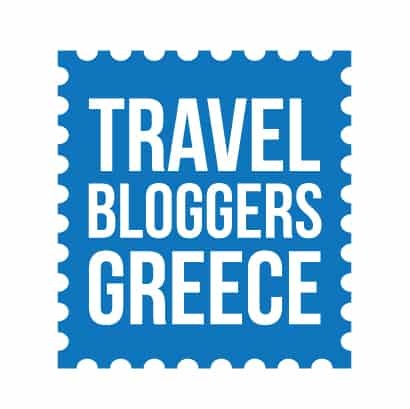 Paola Forneris is the owner of travel blog Viaggi e Delizie. You can find her on Facebook and Twitter. 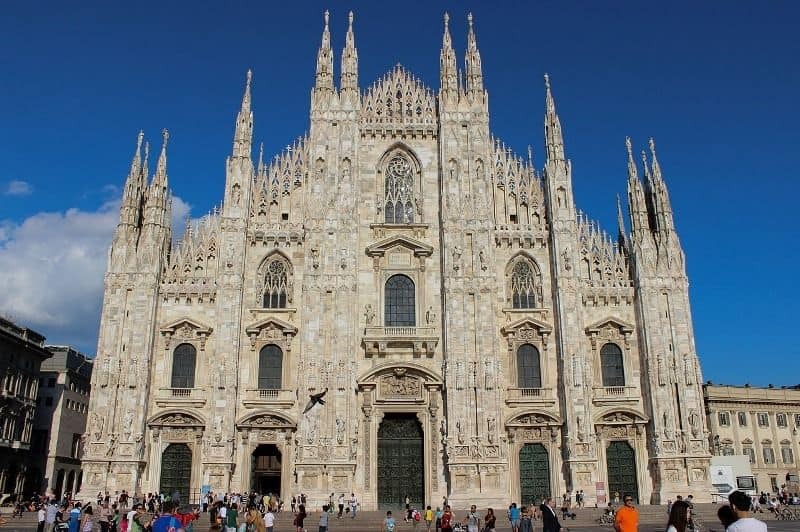 Milan is one of Italy’s main city and one of the busiest, but it only sees a fraction of the tourists that visit Rome, Tuscany and Venice. It’s often dismissed as a grey, business-focused, ‘un-italian’ city – but to be honest, more often than not visitors end up having a good time (oh well, at least my friends do!) First of all, you’ll only find a handful of tourists in Milan – meaning that tourist-related rip offs are also harder to come by! The city has a lot to offer, both in terms of artistic sights and alternative things to see and do. For instance, you can visit the stunning cathedral Duomo, Leonardo’s Last Supper or catch an opera show at the Scala theatre – or spend a day discovering the street art scene away from the city center. Another myth is that Milan is an expensive destination. If you know where to go and what to do, there are plenty of free things to do in Milan! Margherita is the owner of travel blog The Crowded Planet. You can find her on Instagram and Facebook. You might be interested in: One day in Milan. Bolzano is place that thoroughly surprised us. Located near the borders of Austria, it is not a surprise that German is commonly spoken here as well. Quite frankly, we only planned a stop in Bolzano to break up our long train journey. We ended up loving it so much that we decided to extend our stay. We couchsurfed with a lovely Italian family, hiked around the Dolomite Mountains and just enjoyed the stunning scenery around the area. There were loads of hikes and trails within the area that we would love to go back and do. Definitely worth a visit for nature lovers! 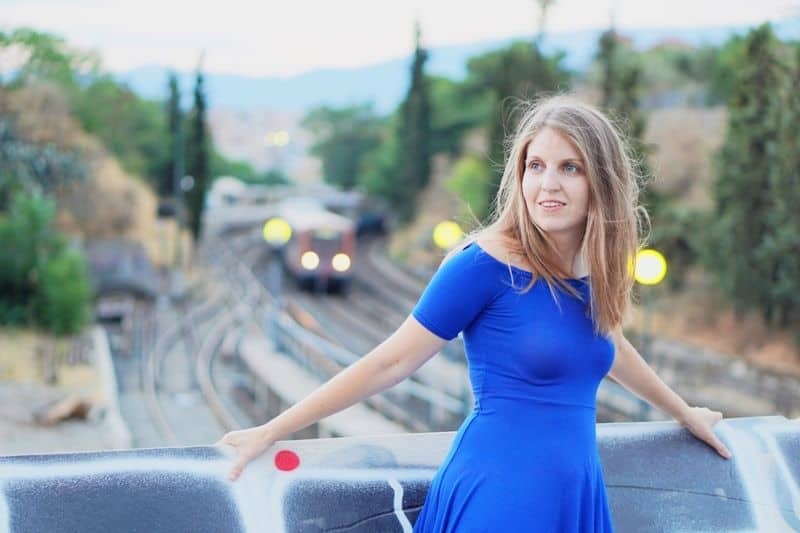 Anna is the chief editor and designer of the travel blog Adventure in You. You can find her on Facebook and Instagram. Most people have never heard of the city of Ravenna, though it was once the capital of both the Roman Empire and Byzantine Italy. A shame, that. 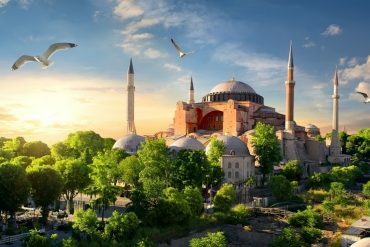 They are missing out on a true treasure: Eight early Christian churches/monuments with mosaics so superb that they rival those in Istanbul. 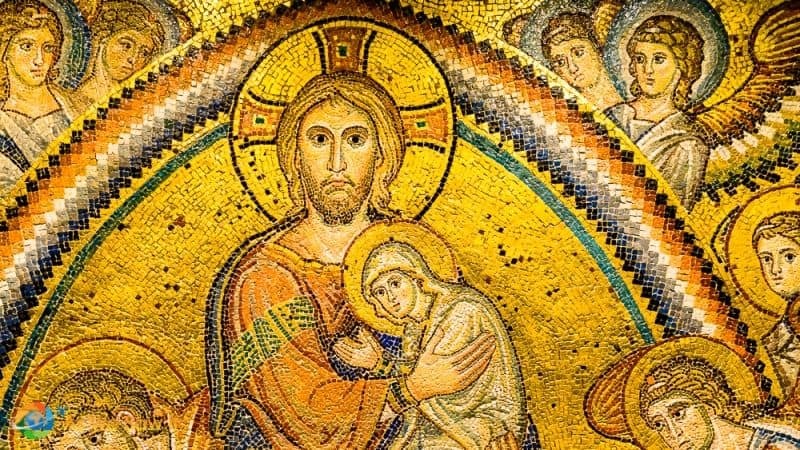 Ravenna’s Arian and Byzantine mosaics are so exquisite that they are a UNESCO World Heritage. UNESCO says, “They show great artistic skill, including a wonderful blend of Graeco-Roman tradition, Christian iconography and oriental and Western styles.” While there, try piadina, a local specialty. These thin, crispy, flatbreads are filled to order and served warm. Ravenna lies on the Adriatic coast, only a 90-minute detour on the train line between Florence and Venice. Dan and Linda are owners of travel blog As We Saw It. You can find them on Pinterest and Instagram. In any period of the year that you decide to visit Italy you will feel sheepish in front of the multitude of wonderful places to visit. But if you want to remember your trip by discovering a place not known to everyone, then you are searching for Biella. Biella is a little province located in north Piedmont, between Pianura, Padana and the Alps. 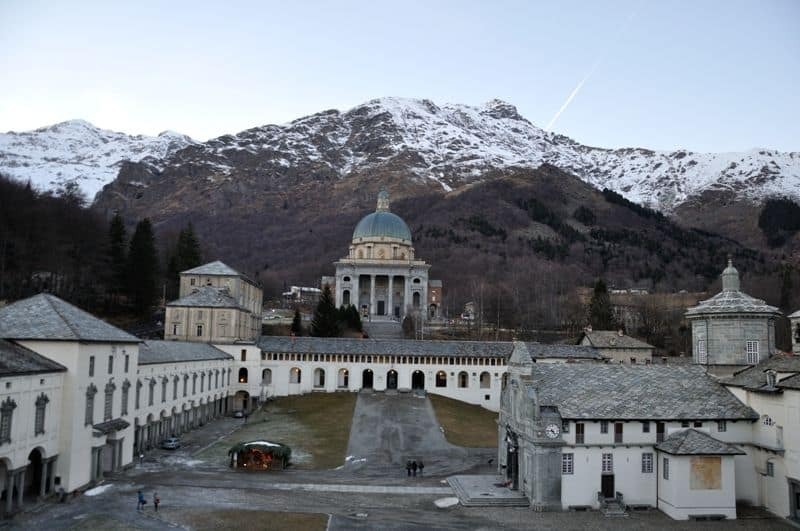 Under these mountains, between valleys and snow-capped peaks, is hidden a big treasure known not only for its religious importance, but also for its cultural and historical relevance. Mentioned in the UNESCO’s Human Heritage List, I’m talking about the Oropa Sanctuary. Oropa Sanctuary is the largest and most important site dedicated to the Virgin Mary, but in the past it has been also a royal residence of the Savoy family. It’s interesting story that needs to be discovered step by step by visiting it. We will wait for you in Biella to show you more beauties of our province. Gian Luca is the owner of travel blog Viaggia e Scorpi. You can find him on Facebook and Twitter. Most people who visit Sardinia head straight to the beach. I can’t really blame them, they are gorgeous. But this fantastic island in the middle of the Mediterranean has much more to offer. It is a paradise for rock climbing, caving and hiking; it is packed with unique archaeological sites and lovely, colorful villages; and the cultural life is thriving. A place I only recently discovered is the archaeological site of S’Ena ‘e Thomes. It is so hidden that I realized, once I got there through a tip of a local in the nearby village of Dorgali, that I had driven past it dozens of times without realizing. 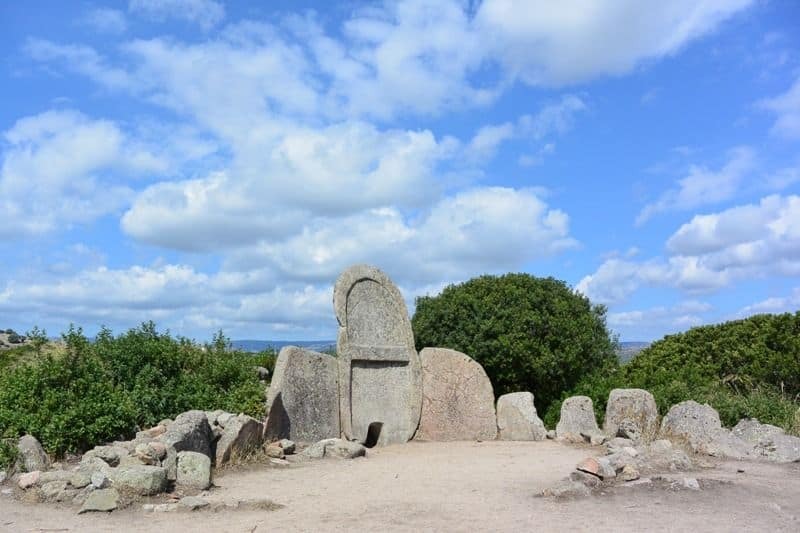 S’ena ‘e Thomes is a giant’s tomb located in a land that belongs to a local shepherd. He allows visitors to walk in through the gate but thought it appropriate to place a sign to warn them to keep the gate shut to stop grazing animals from escaping (only in Sardinia!). Most of the site hasn’t been explored yet. What’s visible is a stelae of about 4 meters around which a tomb (of 11 meters diameter) has been built. 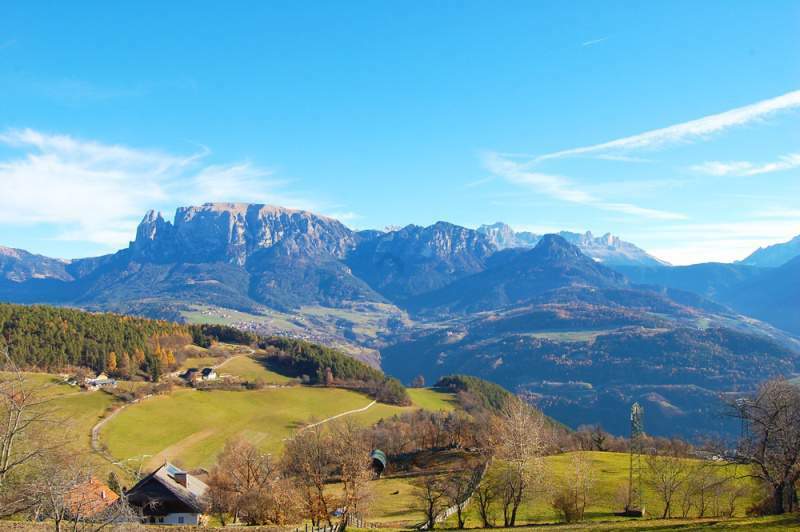 What makes the place special is the setting: completely surrounded by the countryside with mountains in the background. Claudia is the owner of travel blog My Adventures Across the World. You can find her on Instagram and Twitter. Capri is an isle of seduction: since ancient times when the island’s sirens sang to Odysseus and Roman emperors built their villas, through to more recent times when thousands of visitors flock there daily, few have been able to resist its allure. What other island has had both a salad and a type of pant named after it? Alight at Marina Grande and take the funicular up to the town of Capri, exploring the narrow streets and stopping for a coffee or lunch on La Piazzetta. Take a cable car or hike to the island’s highest point, then head down to the Grotta Azzurra, wondering at the cave’s brilliant blue light. Or just laze all day on a boat circumnavigating the small isle. Best of all, stay for a night or two, and enjoy the serenity of having the island virtually to yourself after the day-trippers depart. Shandos is the owner of travel blog Travelnuity. You can find her on Facebook and Pinterest. You might also like: Things to do in Capri. When visiting Tuscany, Italy many travelers make Florence their home base and just visit the Tuscan countryside on day trips. However, that itinerary misses out on the truly best part of Italy. Nothing beats spending your days exploring the small, medieval hilltop villages around Siena and beyond. My favorite was Montepulciano. Renting a car in Tuscany is the best way to see it. Driving the winding roads up to the villages, or through vineyards or giant sunflowers, is truly a memorable experience. Stroll the cobble stone streets, dine outside at cafes, sample and purchase incredible food from local shops. Take a deep breath of fresh air and listen to the birds – the Tuscan countryside is good for the soul. Spending a couple of days in the countryside, staying at a B&B or agriturismo (often converted from old and historic buildings) only enhances the experience that much more. Liz is the Founder & President of travel blog Peanuts or Pretzels. You can find her on Facebook and Pinterest. You might also like: 45 things to do in Tuscany and The most beautiful hilltop Tuscany towns. Martina is the owner of travel blog Home for Travellers. You can find her on Twitter and Facebook. 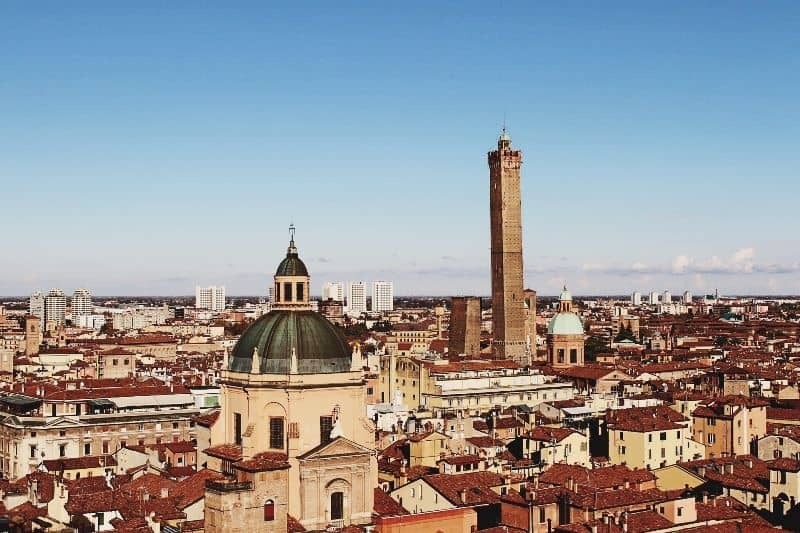 You might also be interested in: Things to do in Bologna. It was at the end of our two-week holiday in Italy that we spent several nights on Ischia Island. Lesser known then the famous Capri, we didn’t really know what to expect, but from the second we caught a glimpse of the charming, stunning island of Ischia – we knew we’d chosen the perfect destination to spend our last few days relaxing in the late summer sunshine. With its stunning beaches, beautiful blue waters, dramatic cliffs, natural hot springs, incredible food, five-star luxury resorts & spas and a slow-paced, relaxed lifestyle, it is guaranteed you’ll be in Mediterranean heaven! Simone and Dan are the owners of travel blog The Aussie Flashpacker. You can follow them on Twitter and Instagram. The perfect mix of spectacular coastal scenery and quaint, colourful towns, the Amalfi Coast is a classy tourist destination just an hour or so drive away from the chaos of Naples. The winding road provides great views at every turn, whether you hire a car or a motorbike or make use of the public buses. 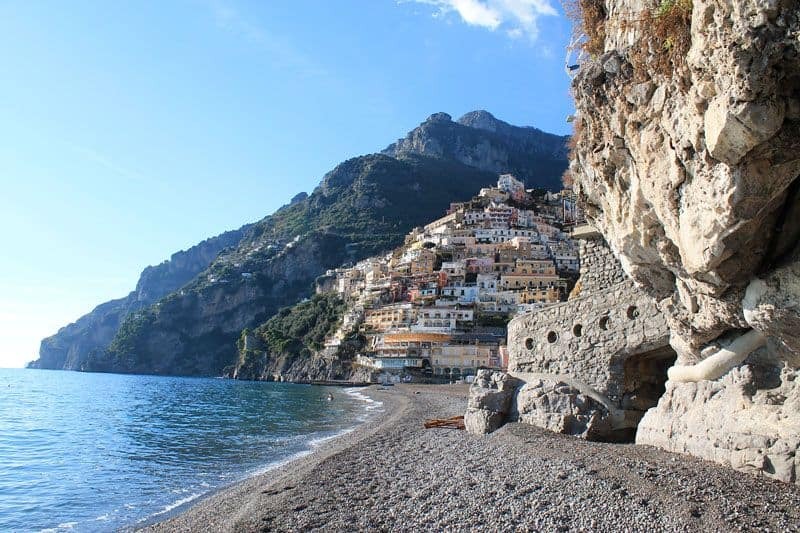 There are several picturesque towns along the Amalfi Coast, my favourite being Positano. Brightly painted houses cling to the cliffs, laid-back cafes abound and the beach below town is surely one of Italy’s most picturesque spots. During our day trips to the Amalfi Coast we also watched a fiery sunset in Praiano and were shown around “The Emerald Grotto” by a hilarious (and some would say sleazy) Italian boat man. We visited the Amalfi Coast in winter and it was almost deserted (and the weather was great) – don’t miss it on your next trip to Italy! Jon is the owner of travel blog Jon is Travelling. You can follow him on Facebook and Instagram. Somewhere in South Italy lies the ancient city of Matera with its charming historical centre called Sassi. Once you enter the Sassi a magical world opens in front of your eyes with dwellings carved in stone said to be the first ever human settlements in what is now Italy, cobblestone streets creating labyrinths inviting you to get lost and sometimes running on top of other houses just to make the wandering even more spectacular, churches, archways and terraces all blended together to create a caved city welcoming the wandering soul inside. And when after a long walk a nice Italy old lady talks to you in Italian about the weather in Matera, the sun up on the sky and invites you in for a coffee if you so wish you can help it falling in love with the Sassi. 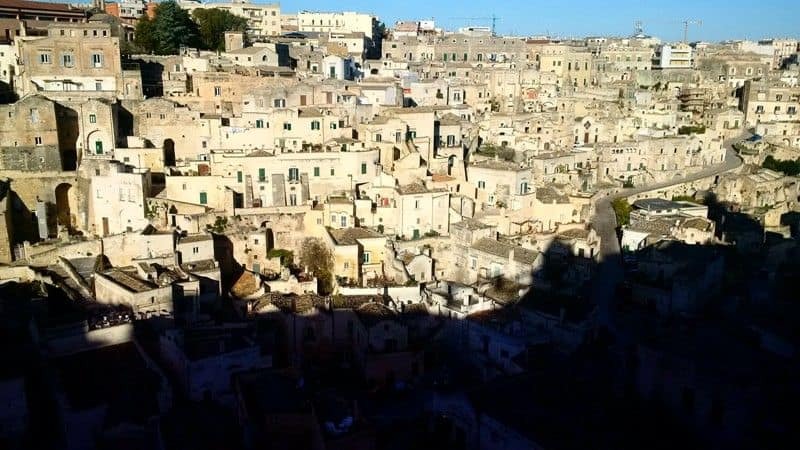 Add to all this the fact that Sassi is a UNESCO World Heritage Site dating back over 7000 years and that Matera was declared European Capital of Culture for 2019 and is a favourite spot for movie filming we say Matera is well worth a visit. Irina is the owner of travel blog Are you happy? You can find her on Facebook. 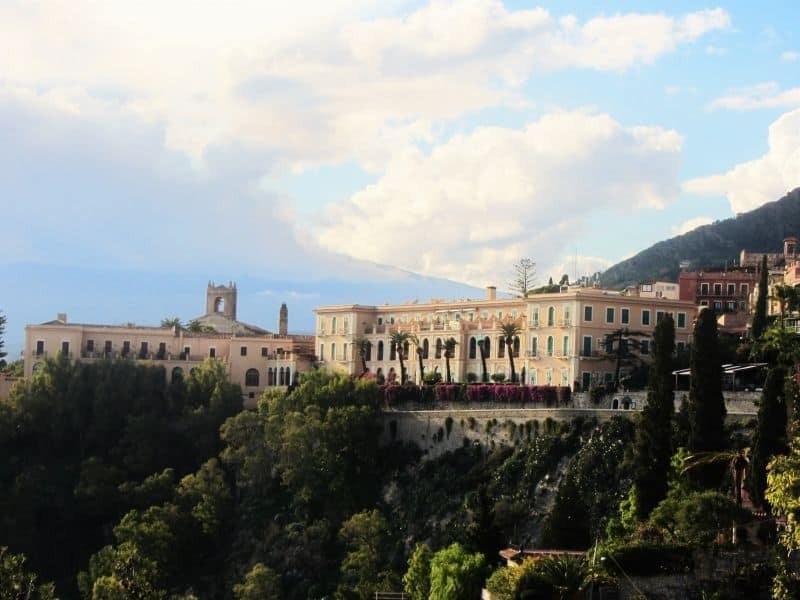 Taormina is one of the most famous and visited cities in Sicily and once you get there you can understand the reasons. The main pedestrian street is one of the most beautiful in Italy and it is full of fancy shops, amazing restaurants and wonderful small alleys departing from it. Being on the top of a hill facing the Mediterranean, there are a lot of big old villas with astonishing panoramas on the bay and on Isola Bella, a natural reserve in a small island linked with the land through a narrow beach. But Taormina’s best is the Ancient Greek Theatre, one of the most famous attractions of Sicily, which could contain ten-thousand people assisting gladiators and plays. With its wonderful background of the Mount Etna, it is still used today as a theatre. Odoardo is the co=founder of travel blog Queidue. You can find him on Facebook and Twitter. If you’re like me, the last place you want to go in Italy is Pisa, because its main, over-touristy (and, basically, only) attraction can’t be climbed. Yet, the famous leaning campanile, or freestanding bell tower, is photographed hundreds of times a day with tourists pretending to hold it up. Honestly, there’s a much more interesting town merely half an hour north of Pisa: Lucca, on the Serchio River in Tuscany, is not exactly a sleep town, but it’s certainly a refreshing break and quieter than the main travel city in that area on Italy, like Florence and the aforementioned Pisa. Lucca is a walled city, with the most remarkable Renaissance-era walls circling it, and it is through walking or biking along those walls that travelers like me can most appreciate the city. Like all medieval and Renaissance cities in Italy, Lucca is made of narrow streets and piazzas: the most interesting is the Piazza dell’Anfiteatro which is the site of an ancient roman outdoor theater. 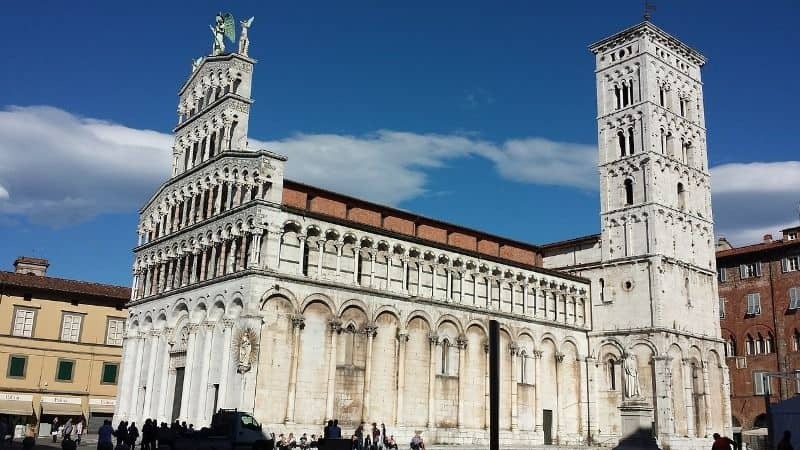 And while nothing beats Florence’s famous Duomo, Lucca’s duomo and campanile (not leaning, by the way) dates back to the 6th century and is incredible in its own right. Jennifer is the owner of travel blog The Vacation Gals. You can find her on Facebook and Twitter. 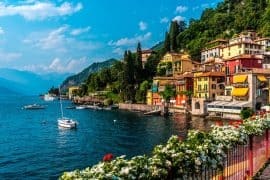 When I was in college I was lucky enough to study abroad in Italy and was surprised the places I feel in love with were not the big cities by the small unique towns around Italy. One of those was the hilltop town of Assisi. 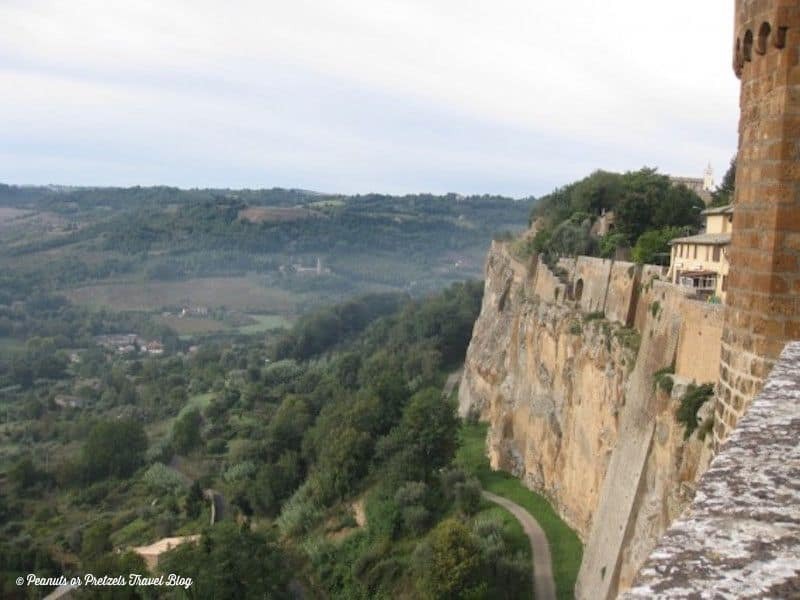 This small town is the home to Saint Francis of Assisi and the Franciscan order of the Catholic Church, his story is they wouldn’t allow him to preach to the people so instead he began to preach to the birds. The Cathedral is beautiful and has a great open space where you can see down along the valley. The town is made up of old medieval stone buildings and tiny streets to wander. You’ll find local gelaterias, bakeries and more. 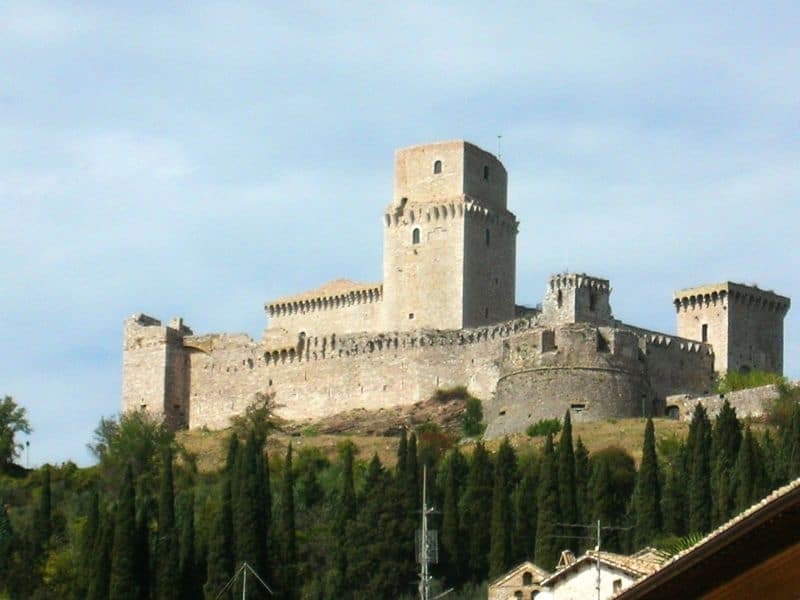 You can also hike up the hill to Castello di Petrata where you will find an absolutely breathtaking view of the town and much more. Megan is the owner of travel blog Traveling nine to fiver. You can find her on Instagram and Facebook. Most visitors head to Florence to see the Uffizi and Duomo, missing out on the city’s true charm and beauty. 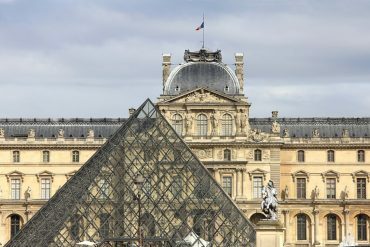 The city offers magnificent gardens and cobblestone streets for strolling, plazas and cafés for people watching, and architectural marvels on every corner. 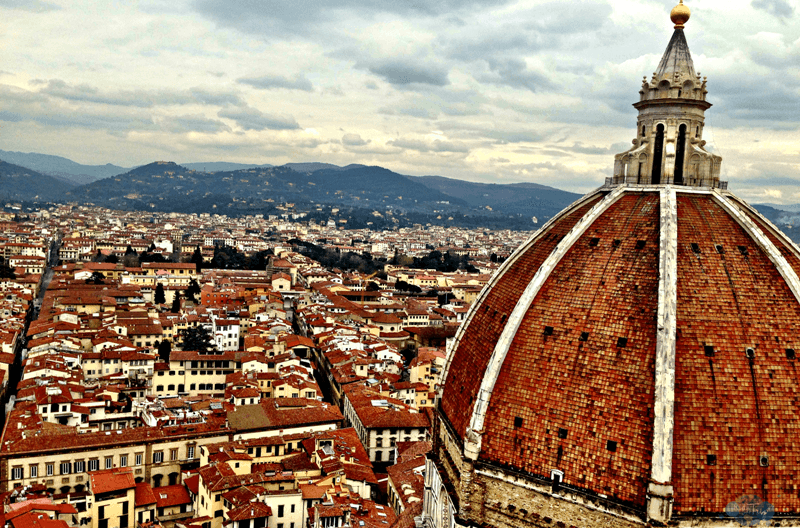 Florence is best explored after the crowds leave for the day, so be sure to spend a night. Shop in the markets around San Lorenzo, wander along the Arno, and find a restaurant where you can enjoy a steak Florentine and a glass of Chianti. The Renaissance capital sparkles during the day, but it’s truly magical at night. Kirsten is the owner of travel blog Kids are a trip. You can find her on Pinterest and Instagram. You might also be interested in: 4 days in Florence and Tuscany. Beautiful but also curious. 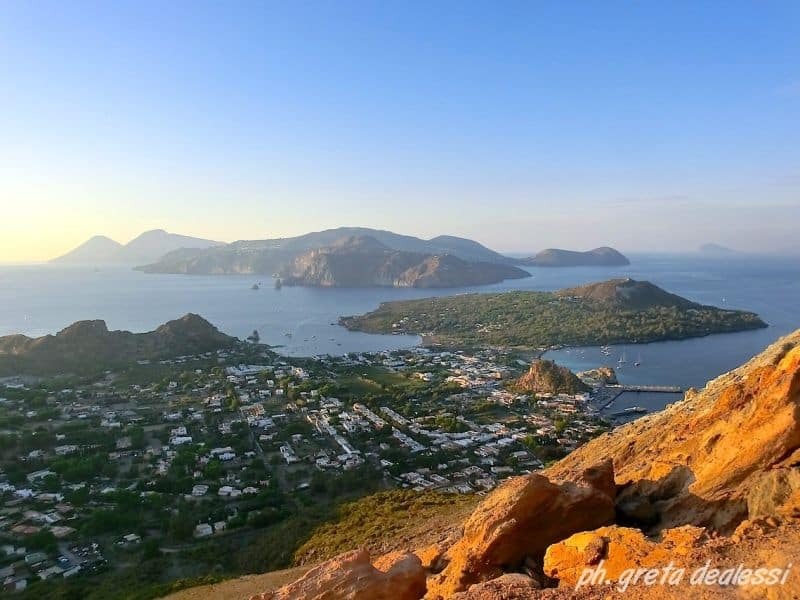 The Aeolian Islands are 7, in the north of Sicily, and they show landscapes and natural features very special. They host approximately 200,000 tourists each year. Two islands, Vulcano and Stromboli are active volcanoes so you will find beaches of brilliant black sand get down to the crystal and warm water. If you’re lucky, you can watch a beautiful phenomena. Last year I could see Stromboli erupt in the night, standing on a small boat on the sea. Bright red flames light up the night: pure emotion! You could trekking on Vulcano and get to the top of the crater with a panoramic view of all the surrounding islands. The mud of Vulcano are well known for their beneficial and healing ability. Public swimming pools and luxury spa flock to the island. Lipari island is perhaps the most welcoming. The small port of Marina Corta is an example of Sicilian tradition, to be enjoyed with a typical pistachio or almond “granita”. Lipari has got the largest quarry of pumice in the world, now closed since 2005. The Aeolian Islands can be reached by speedboats or ferries from the port of Milazzo (about 2 hours from Catania’s airport) and are all 7 visited: Lipari, Salina, Vulcano, Stromboli, Filicudi, Alicudi and Panarea. Enjoy! Greta is the owner of travel blog The Greta Escape. You can find her on Facebook and Instagram. The Northeastern port town of Trieste is one of the lesser-known Italian cities, located on the Adriatic sea near the Slovenian border. 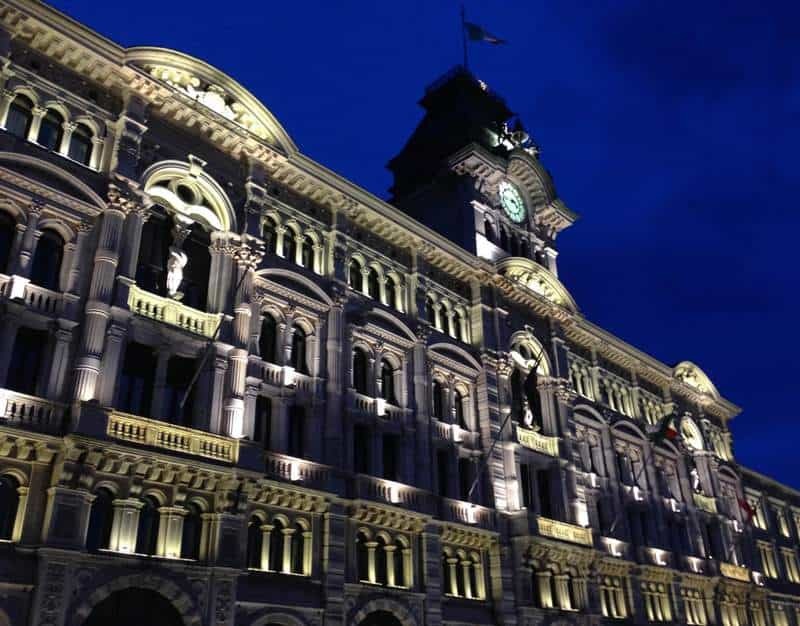 Once an Austro-Hungarian empire, Trieste boasts spectacular architecture, especially on the Piazza Unità d’Italia, the city’s impressive main square. Trieste is a wonderful town to explore on foot. We did so at night, when the magnificent Renaissance-era buildings are dramatically lit and by day, following writer James Joyce’s footsteps. At both times we were accompanied by the Bora, the Adriatic’s famous moody wind that incessantly blows through the city, making Trieste a very special town to explore. Catherine is the owner of travel blog The Go Fever. You can find her on Instagram and Facebook. Beautiful Brindisi, the capital of Puglia – Nestled down on the south-west heel of Italy on the Adriatic sea. Full of sea breezes, epic cuisine, food vibes and beautiful people! Although you’re more likely to bump into Italian tourists than foreign ones – Brindisi is an excellent base for discovering both the Salento peninsula and the Valle d’Itria further up the coast. Home of orecchiette pasta (little ears) and to some unique wines in the region – Brindisi is a foodie haven! There are several incredible and ancient churches to see in the town – the Castello Svevo was our favourite! Stu & Eloise are the owners of travel blog Am I nearly there yet? You can find them on Facebook and Pinterest. 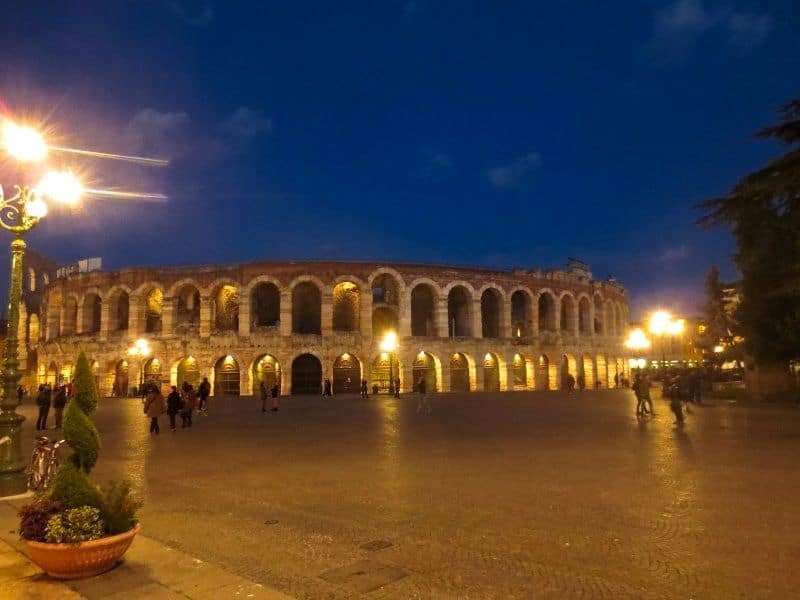 Verona is an interesting city to visit, considering what makes it famous is a fictional story. What’s more interesting is there are places to visit all over town based on a fictional character. Of course I’m talking about Romeo and Juliet. You can see Juliet’s balcony, her house, her tomb, etc. But there’s so much more about Verona than Juliet. The view from St. Peter’s Castle on the hill is stunning, and even better at sunset. During the summer, you can catch the weekly Couchsurfing picnic by the castle. Anytime of the year, strolling through the Old Town or across the eight bridges will make you feel you’re in a Shakespearean play. Believe me, it’s a lot more romantic than Hollywood’s Letter’s to Juliet portrays it.Of course, if you really want some beauty, take a short ride to the nearby Lago (lake) di Garda and hike to Monte Baldo, rising above the picturesque town of Malcesine. Verona is centrally located between Venice, Bologna and Milan, and should be on anyone’s itinerary. Oh, and make sure you stop at Tigella Bella for the best meal of your life. Skye is the owner of travel blog Skye Travels. You can find him on Facebook and Instagram. 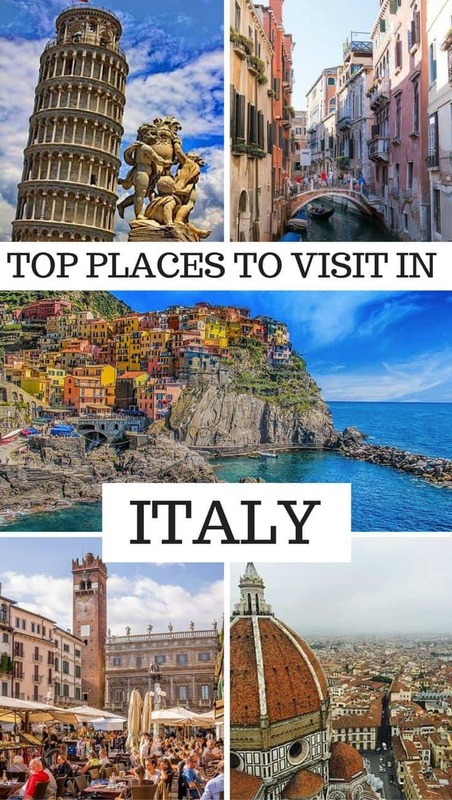 I am sure there are other places in Italy worth visiting that weren’t mentioned above. What is your favorite place in Italy and why? Thanks for taking part guys! Nice blogger list, Chrysoula. I love love Matera. Saturnia is on my list now. Italy is always wonderful to visit, isn’t it!!! I hope I can make it to Saturnia this summer Marissa. 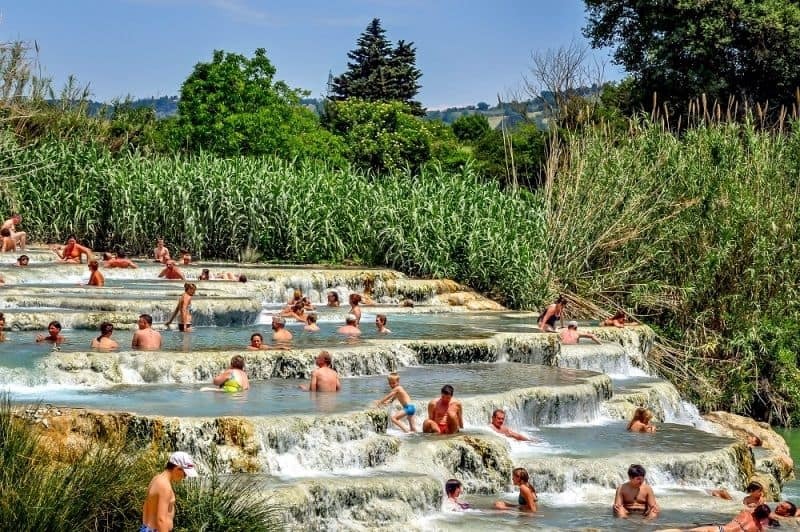 Saturnia is one of the best wild hot springs of Italy. You can chose between the bath establishment or the free access hot springs close by. You are welcome. There are some great places on the list! Thanks a lot! Italy is great! I am a big fan of Emilia Romagna, Its numerous paesinis make it quite picturesque and IMO preserved. 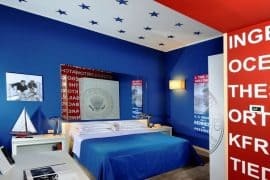 Of course, I am a bit impartial…it was the first place I stayed when I traveled to Italy for the first time. I haven’t been there but I really want to go! I love Italy! Thanks for taking part Linda! I am going to Tuscany this summer and Pisa is on the list! Hi Manika, you cannot miss Pisa visiting Italy and Tuscany. And take time to visit the historical centre and not only the Miracle Square. Thanks a lot I will have a look cause I ma staying in the area for 8 days plenty to see! This is a wonderful and comprehensive guide to some very dreamy plcaes! What a great variety of places to represent the beauty of Italy. Thanks for publishing and compiling this list Chrysoula. Thank you very much! Italy is one of my favorite countries. So beautiful! Little by little I am planning to visit it all! Going to Italy in July for the first time. Was already excited about our visit but now I’m really excited after reading your blog. Thanks for sharing this with the rest of us, Awesome!!! Really Italy is the best place to visit also the images in the blog shows the beauty of Italy I will surely visit Italy in the next month. I have planned about the trip and the places to visit. For making the trip memorable I am learning the Italian language online at Easy Spoken Italian and really I am enjoying the course. Thanks, Snaya. Italy is a truly beautiful country and speaking a little bit of Italian does make the trip more memorable. 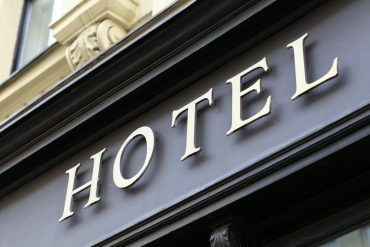 These places look amazing to stay, we were looking at traveling to Italy this year. Your post has inspired me! Thank you Alicia. Italy is so beautiful. Have fun there. Really interesting information. All these place are wonderful to visit. Thank you for your comment. Italy is so beautiful.